Cutting a mango may seem obvious to some, but for others it’s a bit of a mystery. We’ve seen many mangos practically mutilated in preparation, yet in restaurants they always look perfect. 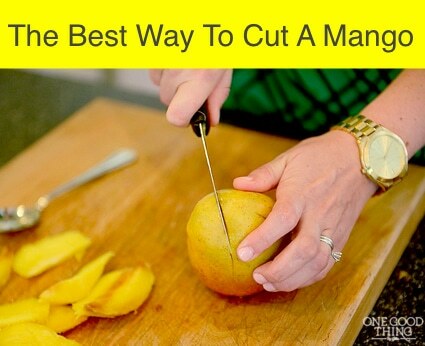 Fortunately, we found a helpful post that shares how to cut mangos the Peruvian way. The result is sliced or cubed (your choice!) mangos that look beautiful and with little waste.